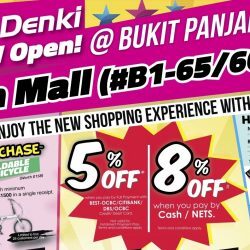 Till 28 Feb 2017 Best Denki: New Hillion Mall Outlet Opening Promotions with Special Daily Deals & 8% OFF with Cash/NETS Payment! 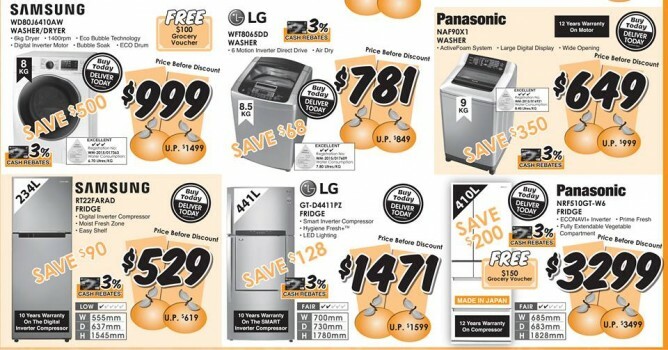 Looking for Electronics or Electrical Appliances? 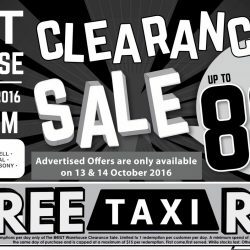 Dun miss Best Denki's Warehouse Clearance Sale up to 80% OFF @ Tagore Lane for the most attractive deals happening from now till 17 October 2016! Some of the deals include Audio Technica, Sennheiser etc headphones & earphones from $5, HappyCall pots at only $49 and more. The first 50 daily will enjoy a FREE Taxi Ride! Receive a Readyy’y Handstick and shopping vouchers (worth $379) when you purchase Relaxx’x ProSilence Bagless Vacuum Cleaner at only $699 (U.P: $789). Promotion is available in all Best Denki retail outlets. 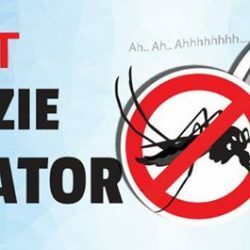 20% OFF* Selected Insect Killer & Insect Repeller for the month of September 2016. 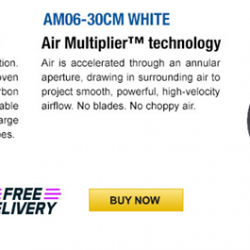 Avaliable E-coupon Code - $30 off* when you purchase a Dyson HD01 now & we deliver to your doorstep! 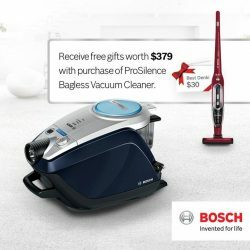 Check out here: https://go.bestdenki.com.sg/dyson! While Stocks Last!! 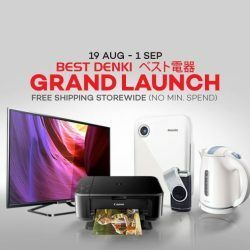 Enjoy $20 OFF Best Denki products with min. $150 spend. Use this coupon code by 1 September 2016! Celebrate Singapore's Hatch Day with the limited edition Gudetama Tablet! Receive FREE gifts worth up to $224 with your purchase. Grab yours today at our Best Denki retail outlets or our Online Store! CRAZY FRIDAY SALE! 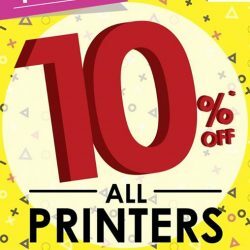 Get 10% OFF all Printers! 4 DAYS ONLY! Now till 25 July 2016. T&Cs apply. Don't miss this! 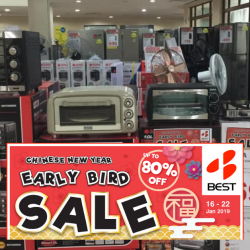 Best Denki: Time Sales with incredible prices! Grab our time sales with incredible price! Limited sets only. While Stocks Last. Get these Hari Raya Bagus Deals! Now till 30 June 2016. 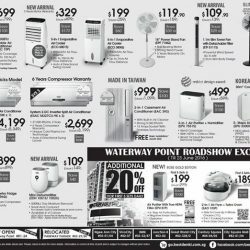 Get Additional 20% OFF on EuropAce products at Waterway Point Denki Show. Win 2 Mercedes-Benz & up to $75,000 worth of EuropAce Vouchers in our 25th Anniversary Lucky Draw. T&Cs apply. 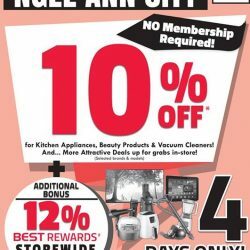 Till 26 Jun 2016 Best Denki: Get 10% OFF at Ngee Ann City outlet! 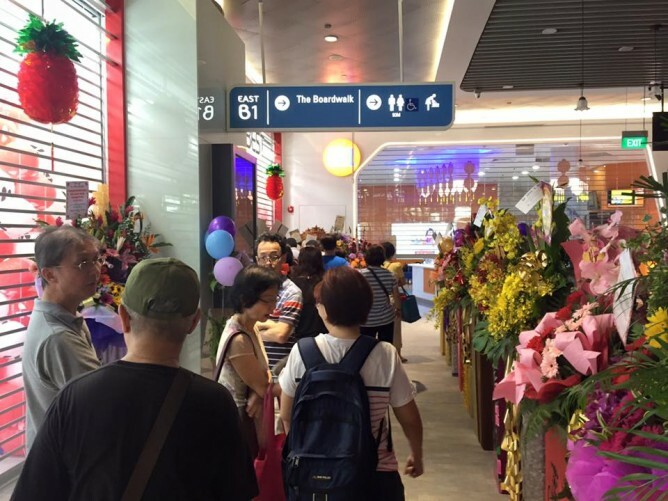 Get 10% OFF at Ngee Ann City outlet! 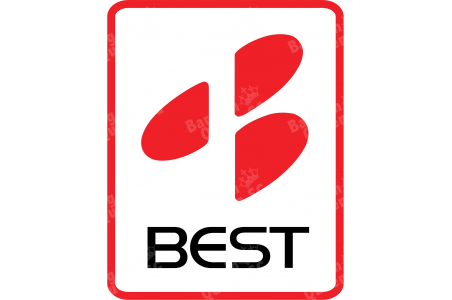 BEST-OCBC Cardmembers will receive 12% BEST Rewards. 4 DAYS only! Now till 26 June. T&Cs apply. 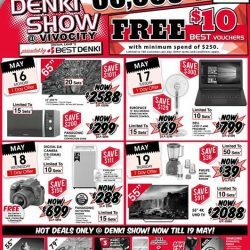 13 - 26 Jun 2016 Best Denki: First-Ever Biggest Electrical & Electronics Show, The Denki Show @ Waterway Point! 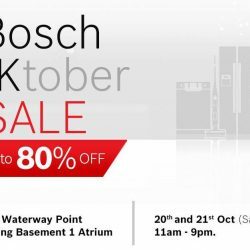 Visit our First-Ever Biggest Electrical & Electronics Show, The Denki Show @ Waterway Point! Thinking of where to chill? Or parents, not sure where to bring your kids to this school holiday? Come right down to Waterway Point for our fun filled activities! 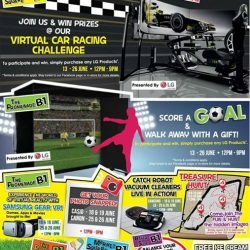 From car racing to kids football…. Not to forget, our attractive deals are waiting for you! Fr 13-26 Jun. See you there! 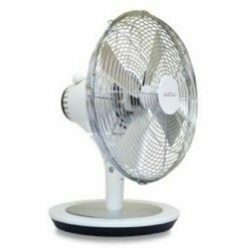 Buy Dyson Bladeless Fans & Powerful Cyclonic Vacuums at unbelievable prices. 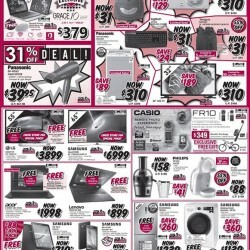 Check out our deals at BEST online store: https://go.bestdenki.com.sg/dyson for more details. 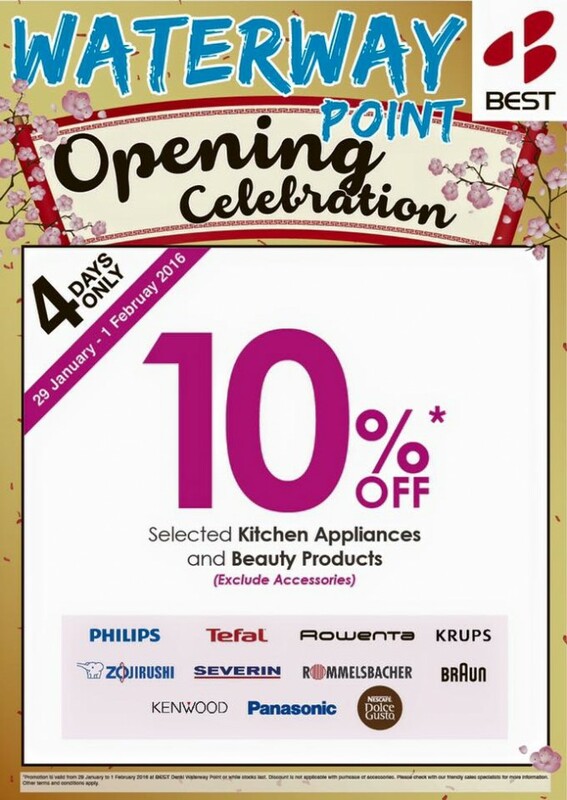 Our Denki Show is back at VivoCity, Level 1 Atrium! Till 22 May. 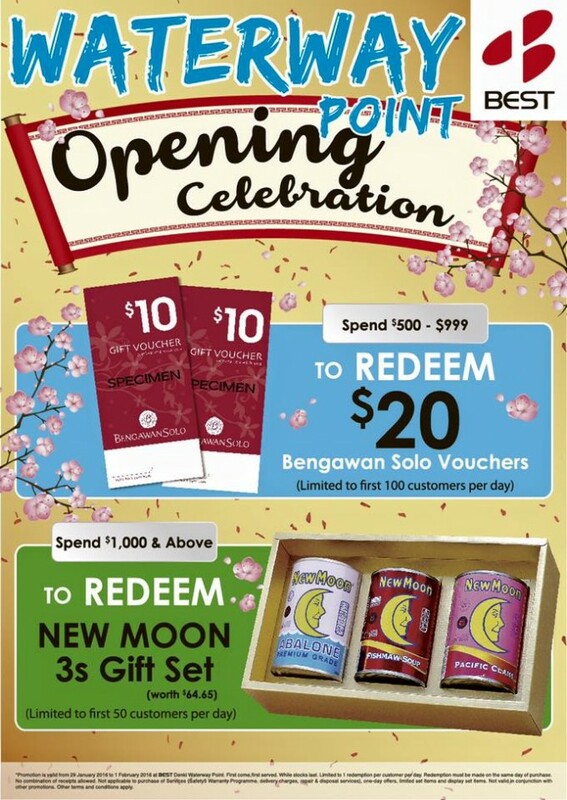 Spend & you get to Redeem up to $30,000 BEST Vouchers! 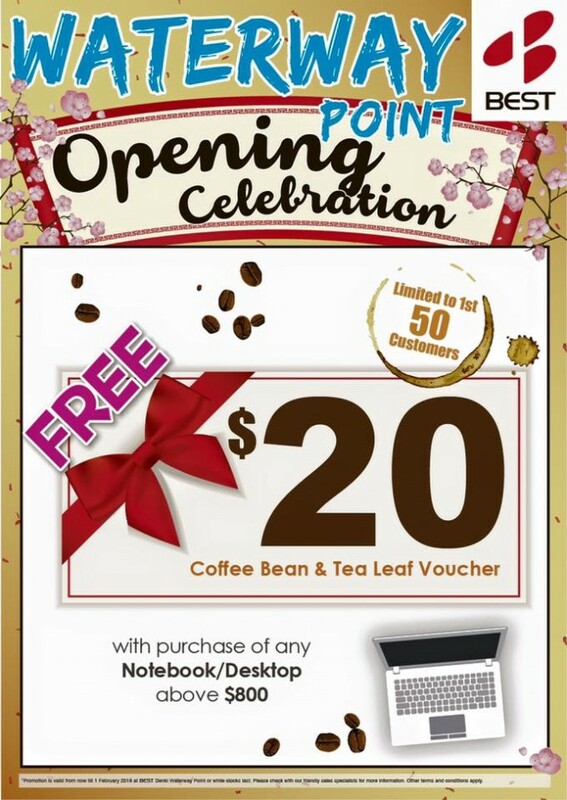 And.. Free $10 BEST Vouchers when you spend a min. of $250. Hot Deals for TODAY: Dell 23.6" Full HD Panel Monitor @ $169 (U.P. $239) & Panasonic Convection Oven @ $299 (U.P. $499)! T&Cs apply. 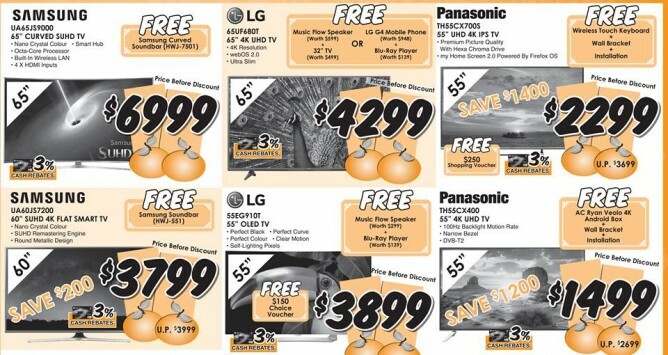 Enjoy exclusive online offers at Best Denki every Tuesday from 10am for 3 days! Wait no more! Check out today's deals! Limited Sets Only! While Stocks Last! Straits Times Ad - 26 Feb 2016, 31 Anniversary Sale! 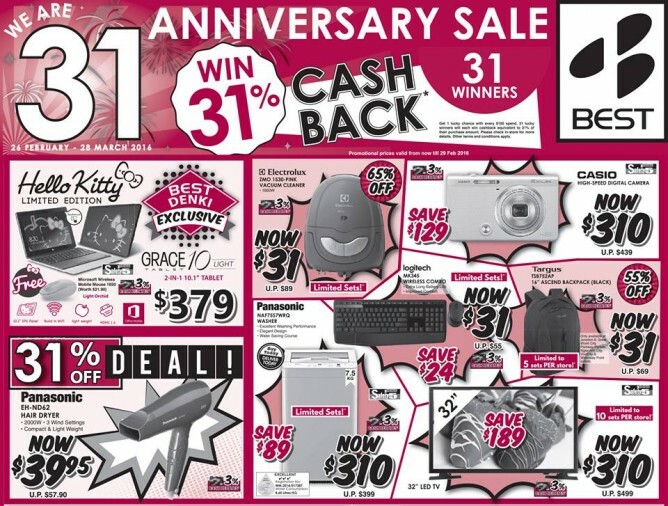 Lucky Draw 31 Winners to win 31% cashback on purchase (Capped @ $1,550). 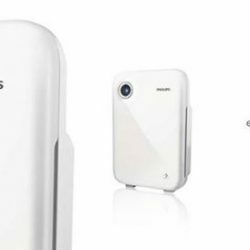 Exclusive to BEST Denki Hello Kitty 2-in-1 10.1" Tablet, 31% off Deal Panasonic Hair Dryer, $31 and $310 Deals - 6 Products. Visit here for more details. Enjoy 8 Days of Fortune with them! 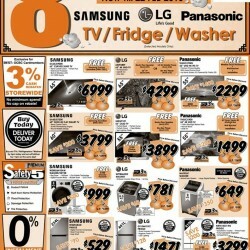 Get 8% off Samsung, LG, Panasonic TV, Fridge or Washer! What's more, BEST-OCBC Cardmembers enjoy 3% Cash Rebates Storewide. Now till 22 Feb. Terms and conditions apply. 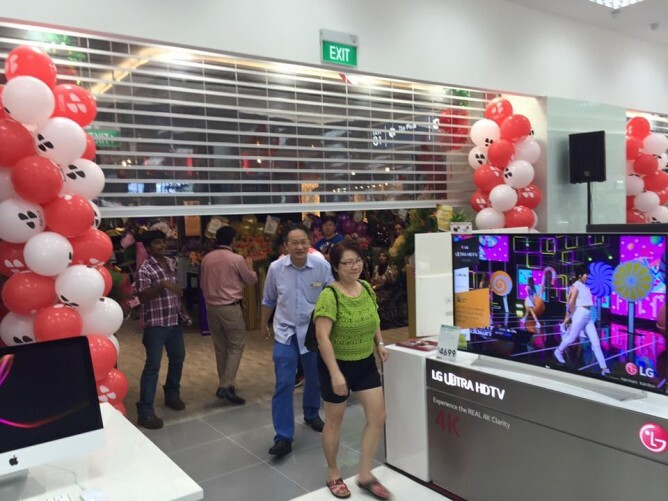 Till 29 Feb 2016 Best Denki: Buy a Pair of Apple Watches & Save $50! 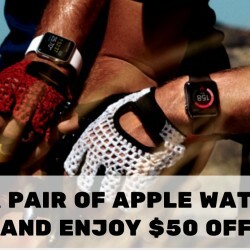 If you are cracking your head about what Valentine's Day gift to get for your loved one, here's a good idea, treat him or her to a Apple Watch! Buy a pair at Best Denki and enjoy $50 savings on the second one. Promotion is valid till 29 February 2016. For 2016 Valentine's day! 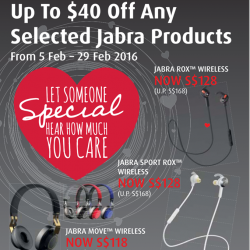 Enjoy up to 30% off selected Jabra products. This V'day, let someone special hear how much you care. Fan of Hello Kitty? You can own this Limited Edition Hello Kitty 2-in-1 10.1" Tablet now! Exclusively at BEST Denki. 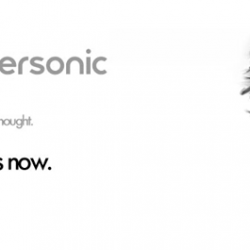 Pre-Order starts TODAY at all BEST Denki retail outlets. Limited stocks available! T&Cs apply. 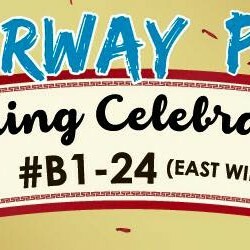 Their newly opened Waterway Point is having an Opening Celebration! 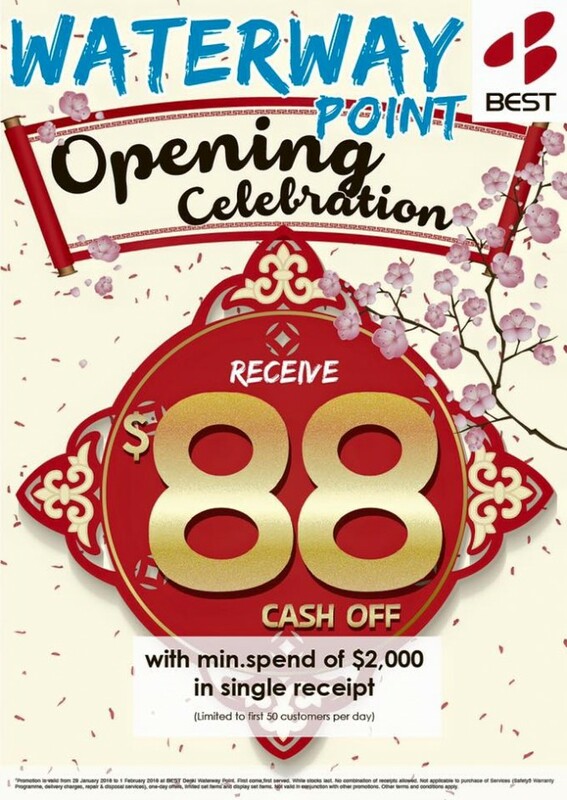 Get $88 Cash Off with min. spend of $2,000! Get free gifts with min. spend of $500. More attractive deals available in-store. 4 days only! Terms and conditions apply. Do enter by the East Wing of the mall to locate them at ‪#‎B1‬-24! 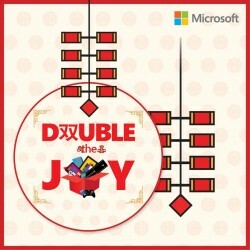 Enjoy and buy any 2 eligible Microsoft products with combined value $188 and get a FREE Sennheiser Earphones worth $119. 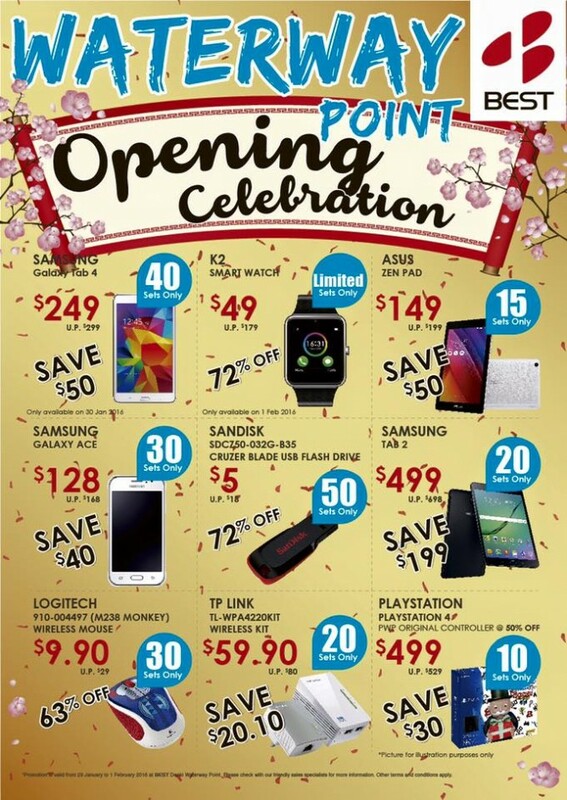 PLUS get FREE Swensens Ice Cream Cake worth $33 when you buy eligible OEM tablets. From 1st January to 29th February 2016. Find out more at here.